How2 Start Mastermind is a one-hour session with the How2 Series facilitators. We talk about the trends in real estate, how to focus your efforts on the highest returns for your business, and strategies to use! 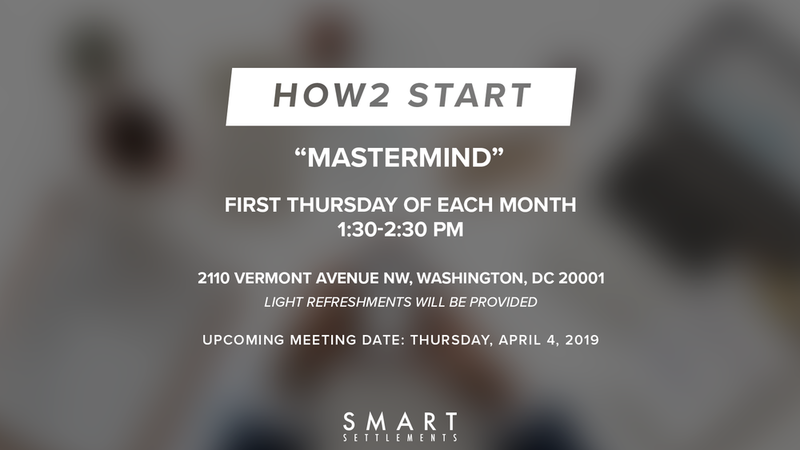 Held once a month at the Smart Settlements DC Office, join us as we provide a few of the effective tactics we teach in the series and learn about the next class dates.